If the last featured artist discussed getting out of your music comfort zone, this would be the exact opposite for me. There is the rare occurrence that an album that is in heavy rotation on my personal music player is featured for $5 bucks on Amazon—and today is one of those days. I have featured this artist before, but this album is unquestionably my favorite of their ten studio albums released to date. Since some of their background was discussed in my previous post – I’ll go into a bit more detail. A year after forming, The Smashing Pumpkins made their first appearance on a record, which featured several local Chicago alt rock bands. Their first single “I Am One” was recorded by a local label and distributed locally as well. The popularity of the single came as a big surprise to everyone, selling out every copy made. Following up with another single, the band signed to Caroline Records, a label that was established in the early ‘70s and featured mostly jazz and progressive rock artists. They were known for selling their albums significantly cheaper than other labels, mostly because their artists lacked commercial appeal. Recording of their debut album took place practically in my backyard—Madison, Wisconsin—in early 1991. Working with the acclaimed Butch Vig, most artists would record and then let him do hit thing, but not front man Billy Corgan. They extended the sessions (and the budget) to really work on the production. He wanted everything to sound perfect—and Vig recalls being “over the moon” excited to finally work with an artist that wanted to spend the time it takes to make a great record. The intense recording pressure took its toll on the band, with Corgan suffering a nervous breakdown and bassist D’arcy Wretzky later commenting she had no idea how the band survived it. 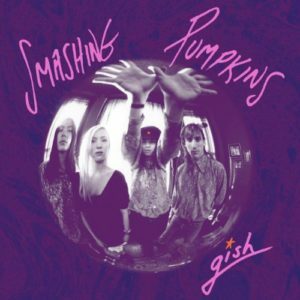 Gish would go on to be released on May 28th of 1991, to modest publicity. The album was named after silent film legend Lillian Gish, with Corgan stating, “My grandmother used to tell me that the biggest thing that happened was when Lillian Gish rode through her town on a train.” The story stuck with Corgan and decided to use it as a way to honor his grandmother. Gish would spend just one week on the Billboard 200, peaking at 195. The album would sell less than 100,000 copies in the first year, which was disappointing to the band, but an incredible feat for the small label. After Virgin Records bought out Caroline a couple years later, the band had gotten more well known, the album was reissued, and it was certified platinum in the U.S. in 1999. What is there today about this record? It’s alt rock, rock, grunge, psychedelic (to a lesser extent) mashed into one, and done nearly to perfection. Corgan has discussed the albums lyrical themes, discussing pain and spiritual ascension—that it was very personal to him. He feels the music overshadows the lyrics in many ways, and the music is saying what he could never find the words to say. Shockingly, having listened to this album at least 100 times, I’ve never seen an artist be so self-aware of how the music comes through. It’s very hard to describe, but the music itself takes you on a little journey, and the lyrics sort of happen to be there. Sounds crazy, but makes total sense when you get through a few times. Gish has virtually unanimous critical acclaim, and put a huge band on the map— that pretty much says it all. I was so excited this morning when I saw this was on the $5 dollar lot—I’m happy to share with one today and hopefully you all pick it up too. One of the best debut albums in music history is certainly with your hard-earned fiver. Hi Austin. I love your music section. Seems like we have the same collection. The Pumpkins are one of my all time favorite groups. My friend won a Ticketmaster lottery at their height of fame in 1996 and we got 10th row tickets on a Saturday night concert in Chicago. Best concert I’ve ever been too. Good times!! I saw the Pumpkins at The Rave in Milwaukee back in – oh boy – maybe the same year? 1995-96 Something like that. They played mostly songs off Mellon Collie, but they threw in a couple off Gish that I didn’t know back then – but wish I’d have enjoyed more in the moment. I didn’t pick this one up until much later, probably 2004 or so. I’ve heard rumblings of an original band reunion tour – that would be a can’t miss show. Thanks for the comment!